On December 5th, 1933, 5:32 EST Utah became the 36th state to ratify the 21st Amendment thus nullifying that pesky 18th Amendment which had sent us and our hooch underground. The anniversary of that date is right around the corner and to the ladies of LUPEC that sounds like a darn good reason to raise our glasses! Join the ladies of LUPEC on Wednesday, December 5th at Green Street in Cambridge for a drink because…well, because we can! No pomp, no circumstance and no cover. Just a casual gathering of folks who like cocktails. The festivities begin at 5:32 PM. 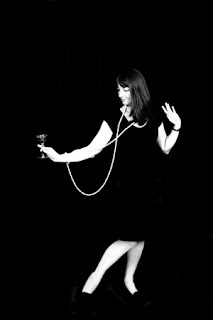 Pull out your 30’s fashions and belly up to the cash bar which will feature a special menu highlighting cocktails of the era. Do you have a favorite quote about imbibing? Or a favorite toast? Jot it down on a card and hand it off to a lady of LUPEC Boston as we will be featuring them here, on our blog, throughout the month of December. And please look for the brightly wrapped box as that is where we will be collecting donations for Christmas in the City, an all volunteer organization that hosts an annual Christmas extravaganza for children living in Boston-area homeless shelters. We look forward to seeing you on Wednesday! Cheers! Green Street is located at 280 Green Street in Cambridge, between Pearl and Magazine Streets. Did you miss LUPEC on ‘CHET CURTIS’ last Friday because you were out on the town? We thought so… Not to worry, you can check out the segment on the web by clicking here. My family’s Red Cross volunteer was my Great Aunt Kay. On June 6, 1945, just about a month after VE Day, Kay Kehoe boarded the Queen Mary to Europe, where she spent the next 18 months traveling all over Great Britain and the Continent as a Clubmobiler. 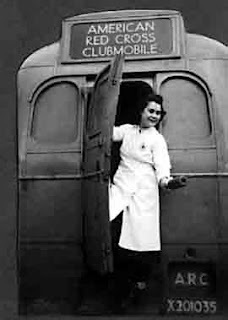 Red Cross Service Clubs offered meals, recreational activities, overnight accommodations and amenities like barbershops and laundries to American soldiers stationed all over the world; Clubmobiles were designed to be like service clubs on wheels. These half-ton trucks and single-deck buses, acquired by the Red Cross from a former London bus company, were converted to literal welcome wagons. 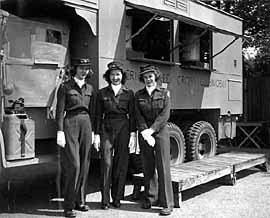 Each was operated by three American Red Cross women and a local driver, and were equipped for “making and serving coffee and doughnuts and for distributing newspapers, chewing gum, and other small items” to the troops. Some had phonographs and loudspeakers, and others were even outfitted with movie projectors. Kay Kehoe disembarked from the Queen Mary in Scotland, and didn’t stop traveling for the next 18 months. She and the girls of Clubmobile Group A boarded a train from Scotland to England, then took a boat across the chilly English channel to France, then boarded another train to Paris. 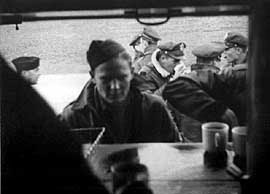 From there, they traveled all over Europe in a truck the size of an ambulance, delivering coffee and doughnuts to troops through the truck’s windows. Occasionally they’d stop in service clubs — Kay remembers a particularly big one in Berlin — where they’d work as ‘club girls’, acting as hostesses to the troops. But being on the road was the type of service Kay Kehoe liked best. As for cocktails, says Kay, “they didn’t have the kinds of ingredients you’d need to make fancy drinks, like Martinis, Old Fashions, and Manhattans. But, since it was France, you could pretty much always get your hands on cognac, and all the G.I. Clubs had Coca Cola.” So that’s what they drank. This weekend, let’s raise a glass to Kay Kehoe and the girls of Clubmobile A! will appear on the ‘CHET CURTIS REPORT‘ on NECN! teach viewers how to make a classic cocktail that’s bound to wow the entire family this Thanksgiving. Tune in Friday, November 16th @ 8 p.m. ET on NECN! In 1917 General “Black Jack” Pershing began his search for bilingual switchboard operators to improve communication between commanders and troops on the European front. The women needed to speak French, be college educated and single. Over 7000 women applied and 450 were selected. Upon completion of military and Signal Corps training at Camp Franklin Maryland the ladies were issued their Army regulation uniforms complete with US crests, Signal Corps crests and dog tags. 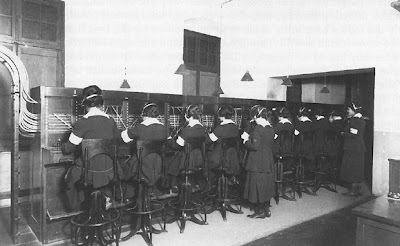 By the end of the war over 200 women had served oversees as part of the Hello Girls. The women had been sworn into service, were considered combatants and one of their own, Grace Banker, was awarded the Distinguished Medal of Service by Congress. However, upon returning to the States the Hello Girls were denied veteran status as all military regulations had been written in the male gender. One of the operators, Mearle Eagan Anderson, spent fifty years advocating on behalf of the Hello Girls. Her diligence was rewarded in 1978 when President Jimmy Carter signed a bill recognizing the service of the Hello Girls and awarding them veterans status. 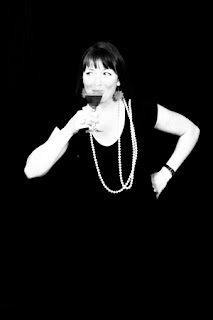 And now a (Mixology Monday) toast to our bilingual fore-broads! Shake the gin, lemon juice, and sugar in an iced cocktail shaker. Strain into a champagne flute. Fill with Champagne. Garnish with a lemon twist. On the eleventh hour of the eleventh day of the eleventh month of 1918 World War I formally ended with the German signing of the Armistice. Today we recognize this day by remembering all who have generously served our country in the armed forces. 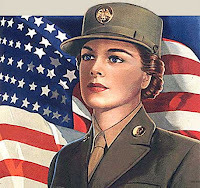 Throughout this week the ladies of LUPEC Boston will be honoring Veterans Day by raising our glasses to all the women who have voluntarily served this country in the military. Check back often to join in our toasts! Heat honey until liquid, then mix with juices in blender. Stir in rums and soda. Pour into double old-fashioned glass filled with crushed ice, or sip drink through ice cone. To prepare cone: pack ten ounce Pilsner glass with finely shaved ice. Run a hole through center with a chopstick to make a passage for straw. Gently remove cone from glass and freeze overnight. This is an original Don the Beachcomber recipe as printed in Beachbum Berry‘s Grog Log! If you like the Beachbum and his delicious cocktails be sure to join him, DJ Brother Cleve and Waitiki next Sunday, November 18th at Pho Republique for the Beantown Sippin’ Safari!